Fully-laminated, horizontal card with green color bar (PMS 355) and large, white print identifies the wearer as an LPN. Card back is blank. 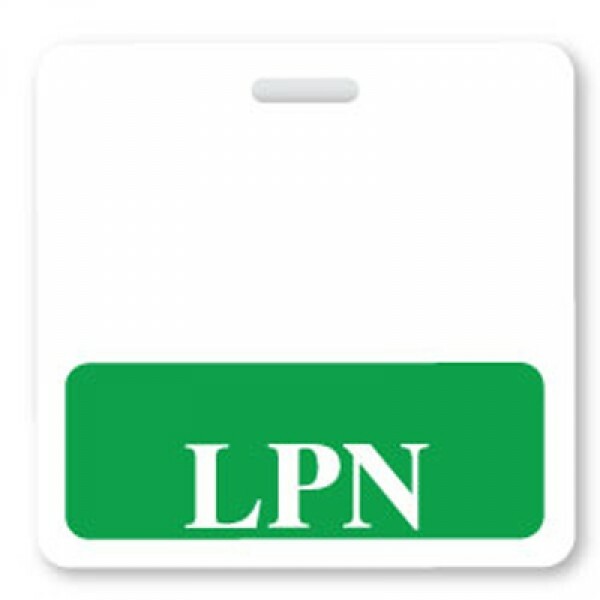 Badge Buddies enable patients to easily identify the roles of those who are caring for them and help provide peace of mind for patients and staff. They easily attach underneath existing ID badges, so there's no need to replace current badge stock. Badge Buddies arrive fully laminated, slotted, and ready for immediate use. And they're reusable, saving time and money.